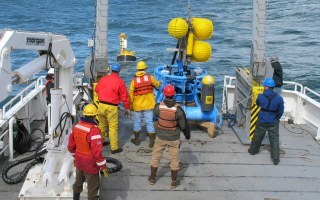 (Click to enlarge) Daryl Swensen, Oregon State University Marine Technician Superintendent (center left) and Walt Waldorf, Ocean Observatories Initiative Senior Operations Engineer (center right), direct the recovery of the InShore Mooring Test 2 buoy during test activities on Aug. 6, 2011. 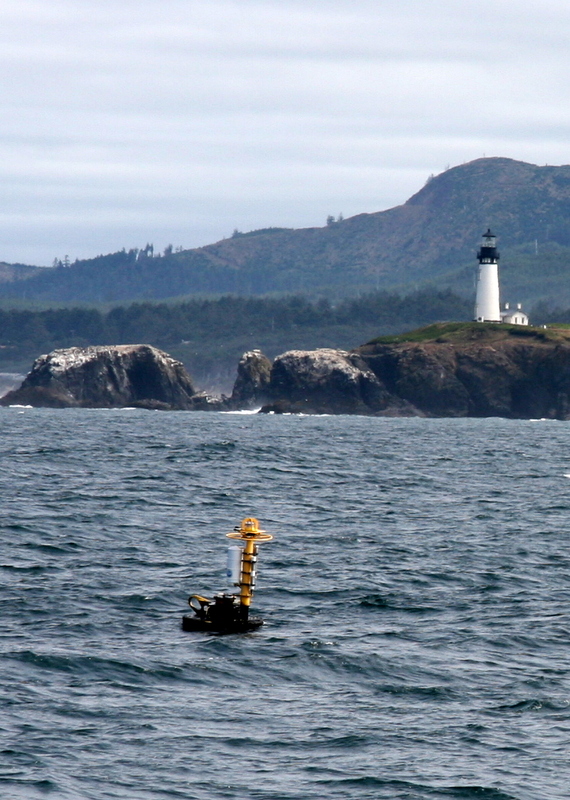 Photo Credit: Craig Risien, Oregon State University. 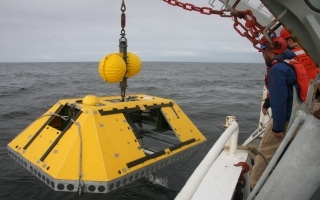 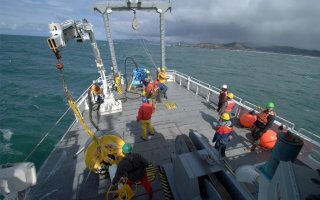 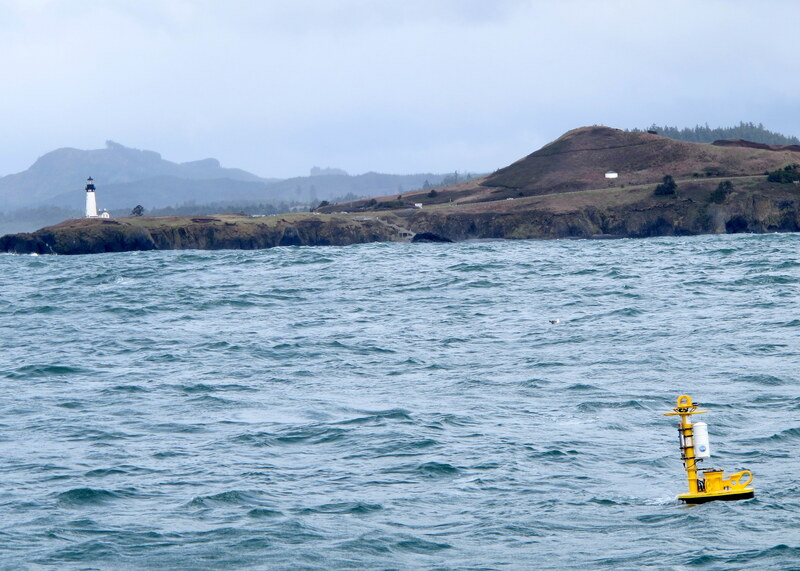 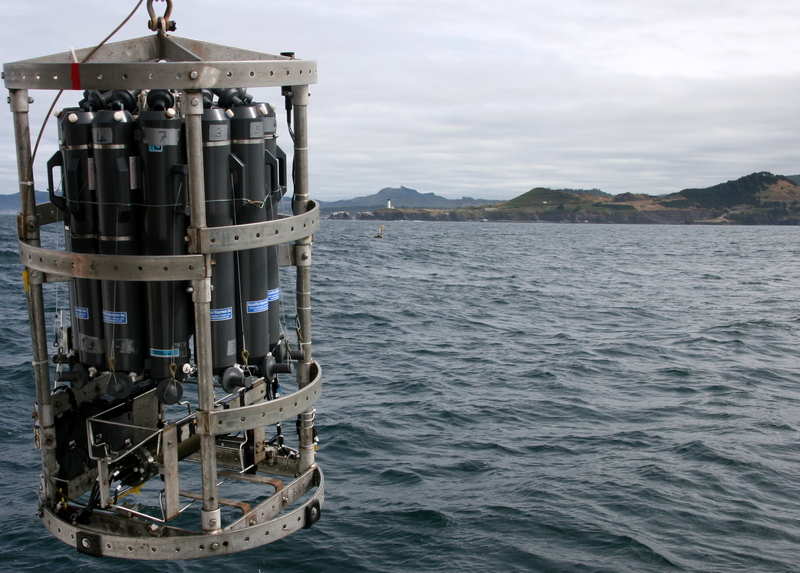 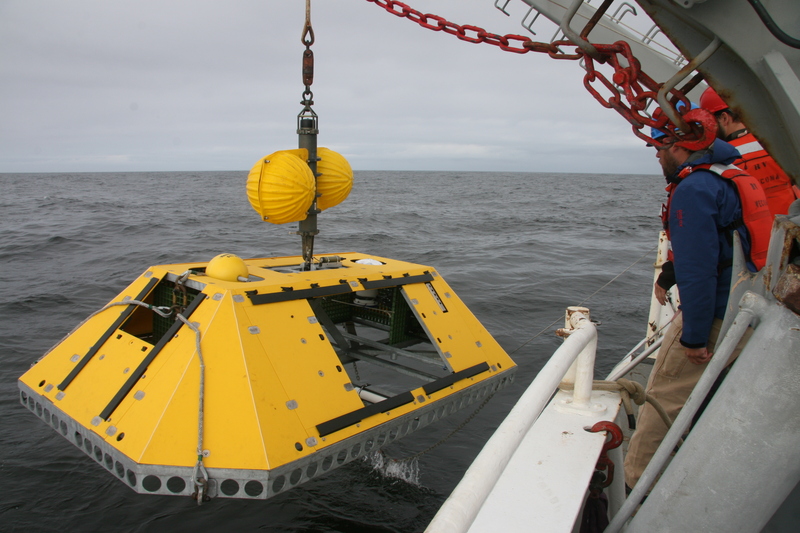 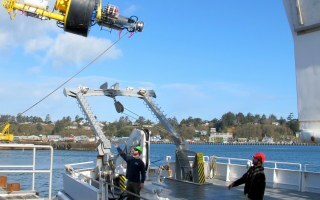 The Ocean Observatories Initiative (OOI) program has been testing of several instrument platforms planned for the Endurance Array off the Oregon coast. 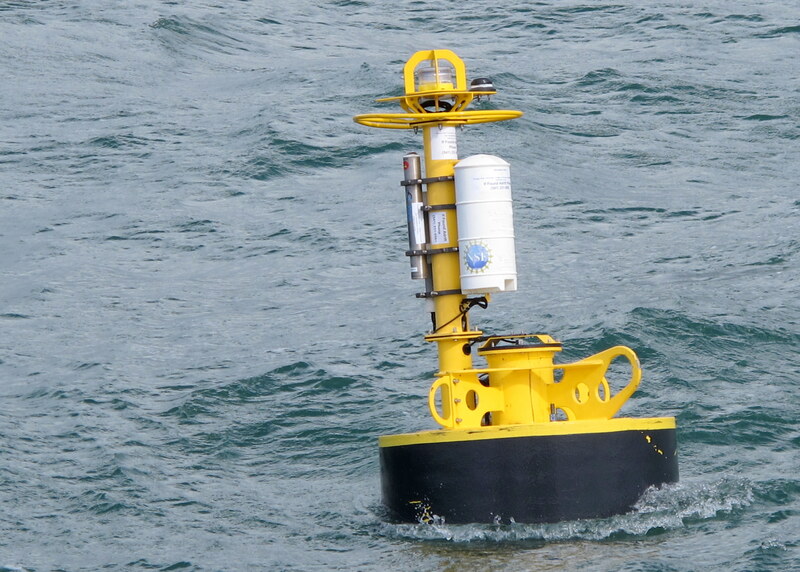 As part of those ongoing tests, the OOI team has been conducting a field and a field engineering and verification test, called Inshore Mooring Test 2 (ISMT2), to examine a number of mooring subsystems. 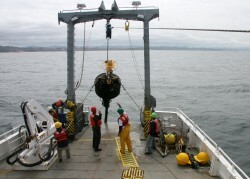 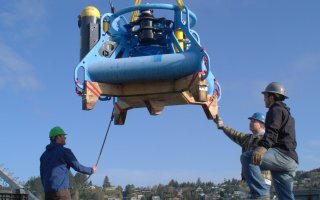 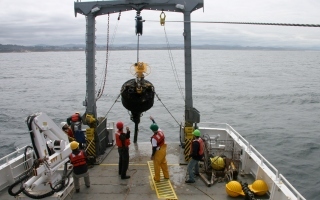 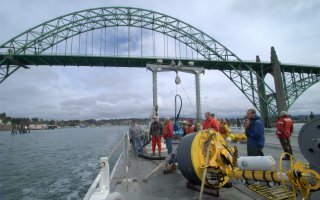 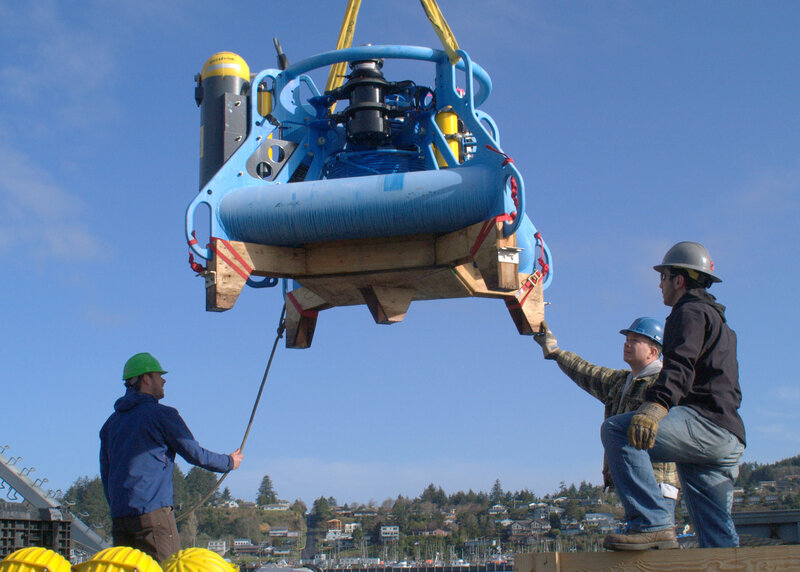 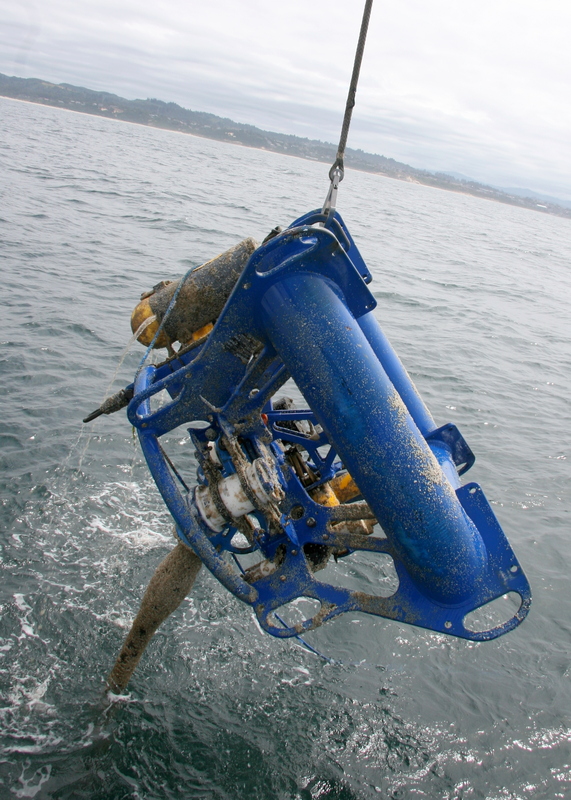 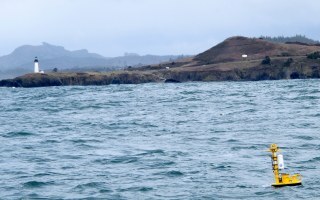 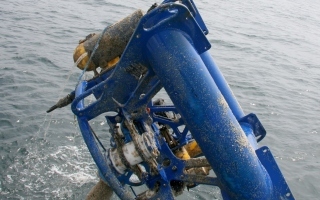 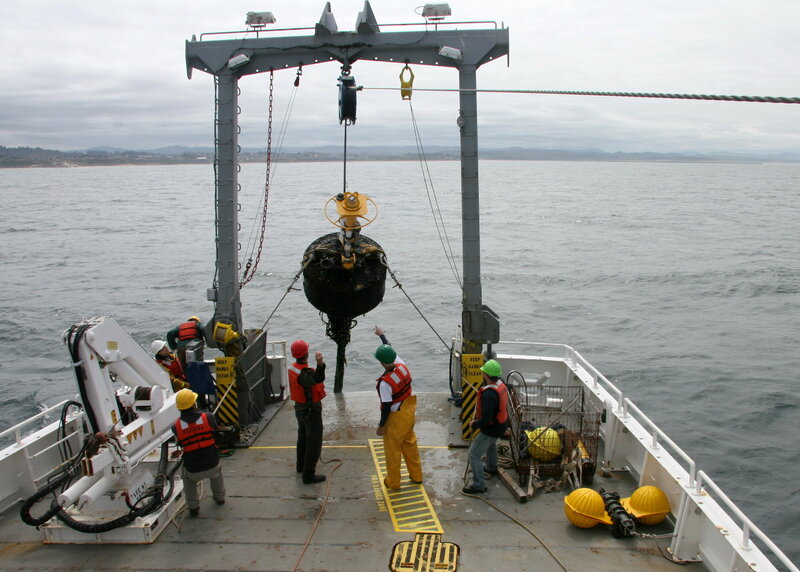 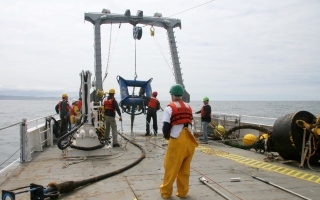 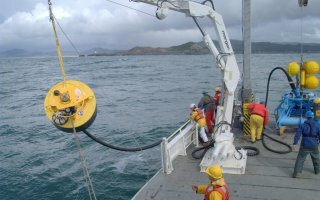 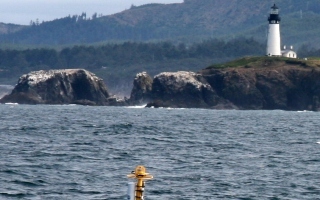 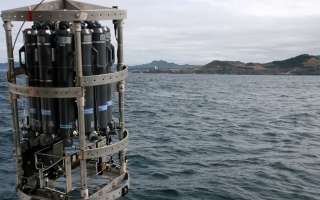 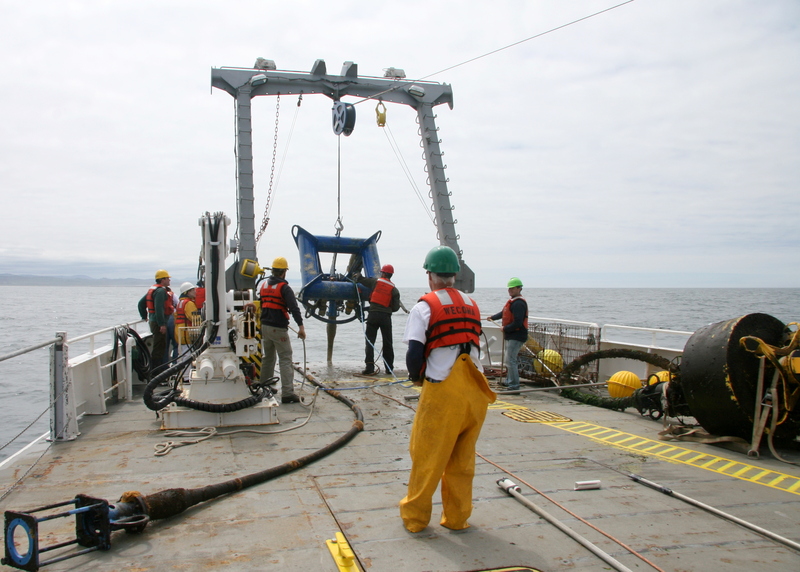 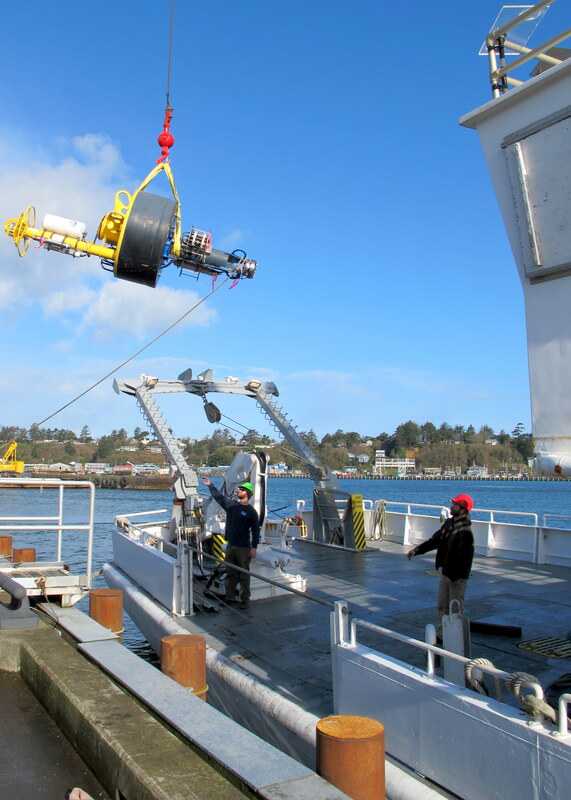 The mooring, designed and constructed by Woods Hole Oceanographic Institution and Oregon State University engineers, was deployed March 19, 2011, near Newport. 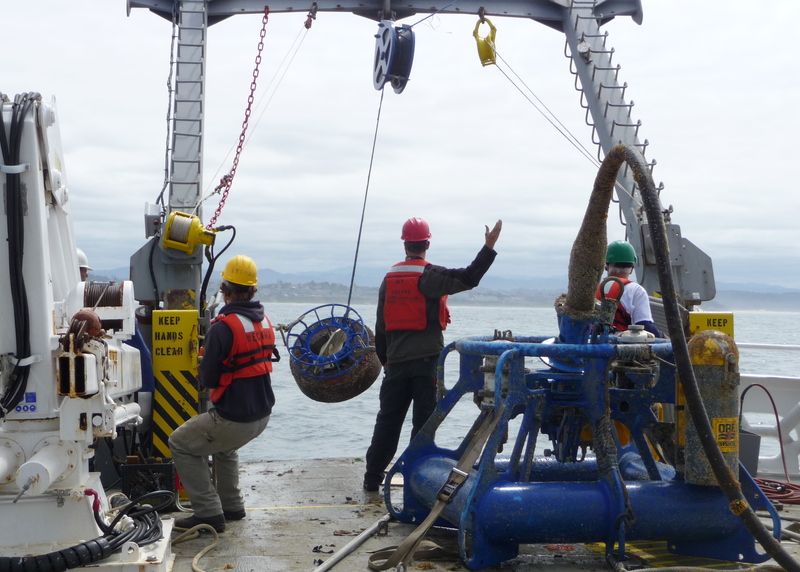 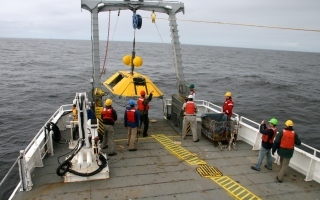 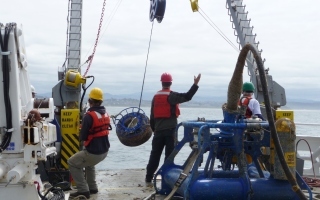 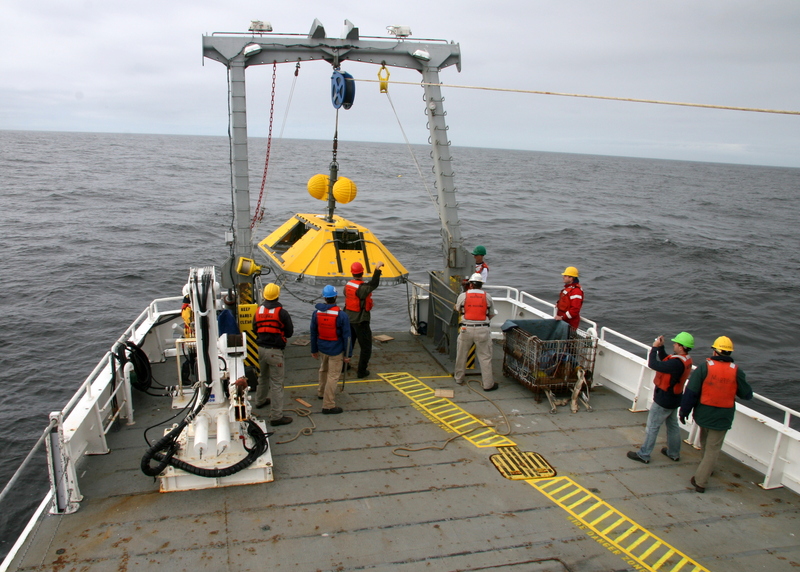 The team successfully recovered the mooring on Aug. 6, 2011. 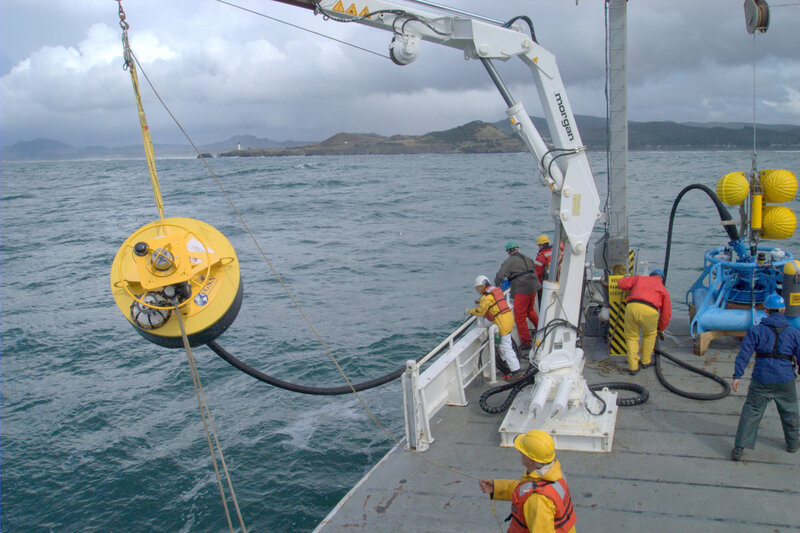 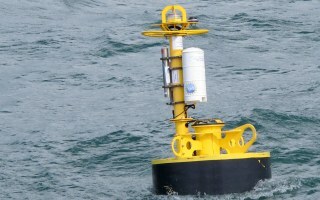 At-sea observations are being used to assess the static and dynamic performance of innovative mooring designs that will be incorporated into the final mooring to be deployed in 2013. 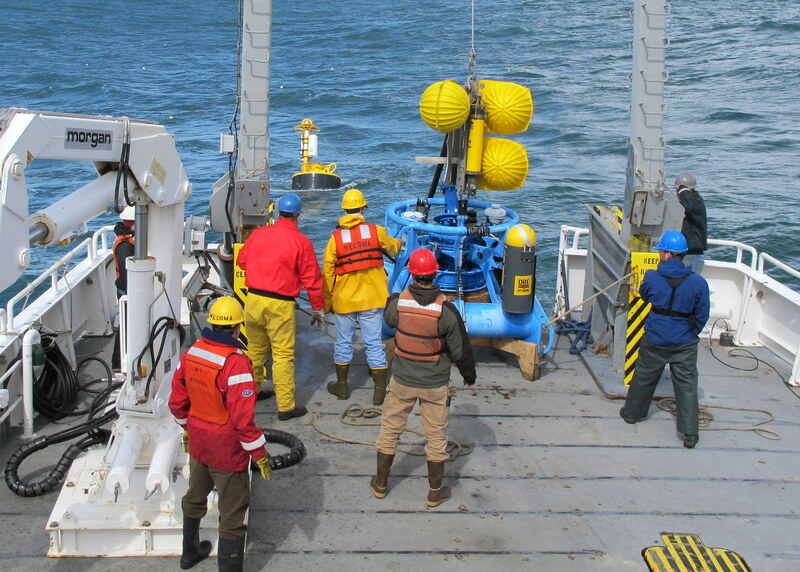 Photos capture the successful equipment recovery as well as other test operations conducted. 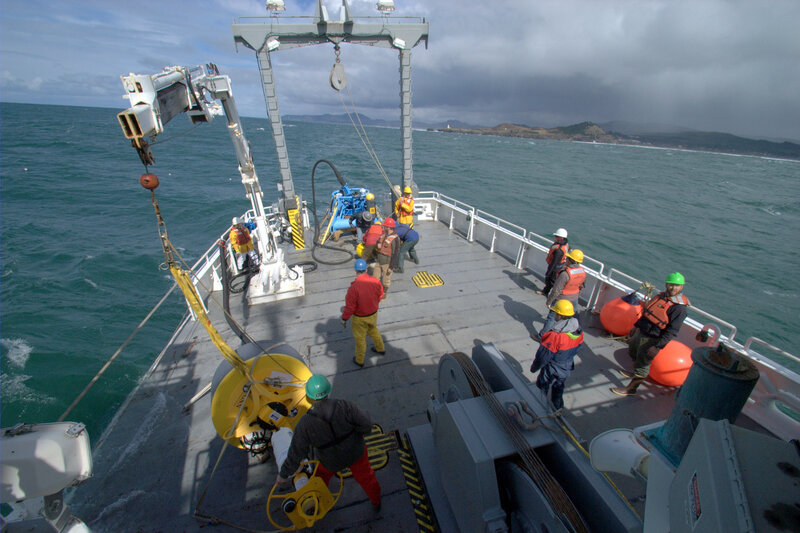 To read a full feature story about the range of Endurance Array activities taking place, please click here: Ocean Observatories Initiative (OOI) Conducts Endurance Array Tests.